The Amy Gillett Foundation today welcomed the appointment of Anthony Griffin as a Director of the Amy Gillett Foundation Board. 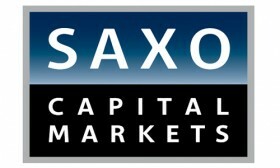 Mr Griffin is the Chief Executive Officer of Saxo Capital Markets (Australia) and is a long-time supporter of the AGF. “Whether for family fun, fitness, commuting or racing, cycling is a continuously growing community that seeks only a safe environment in which to ride. Biking brings with it great benefits for our communities through shared experiences on the bike for our children and us through greater activity and therefore greater fitness,” said Mr Griffin. “Australia needs to be creating environments that encourage these community activities on bikes. We know the benefits are vast but does the safety aspect discourage other would be cyclist of all ages getting on bikes? “Whilst accidents do and will happen through no fault of a cyclist or driver, most can be avoided through a shared responsibility whilst on the road and through continuous education of children and adults from the point of view of both cyclist and driver,” concluded Mr Griffin. Mark Textor, Chairman of the AGF said Mr Griffin would be a tremendous asset to the Foundation as it seeks to continue improving safety for bike riders across Australia. “The AGF Board comprises leaders in business, governance, transport and road safety, advocacy and the cycling community. Mr Griffin’s background complements our existing highly engaged Board.” emphasised Textor.